Sophomore Davis Holly has improved his stats on the court, and also as a leader for the men’ s basketball team. 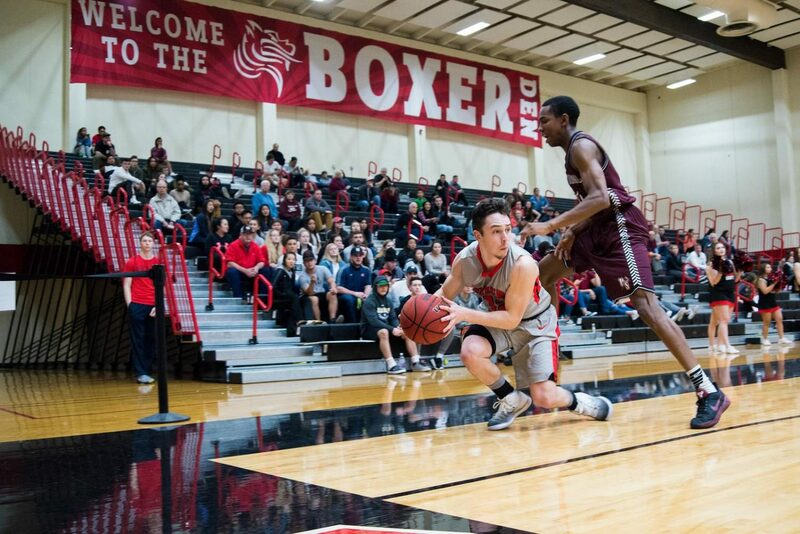 There is no sophomore slump for Pacific University men’s basketball point guard Davis Holly. Coming into his second year as the starting guard for the Boxers, he has dramatically improved his stats from his freshmen year. Holly currently is averaging 12.8 points per game compared to his 7.3 last season, which is third on the team behind junior Brevin Brown and senior Nate Olowo. He is also averaging a staggering 33.8 minutes a game, which leads the team compared to his average of 28.5 minutes last season. Not to mention his improvement in dishing out assists to his teammates, with an average of 4.0 to his 2.6 last season. Of the 20 games this season, Holly has been in double digits in 15 of them. He had a career-high 25 points in an 88-73 victory over Lin eld. Holly also had a career-high 12 assists along with his 17 points and 9 rebounds, which was one shy of what could have been his first triple-double as a Boxer. From the free throw line, Holly has hit 48 of his 51 attempts, which ranks him first in the Northwest Conference (NWC) at 92.5 percent. Coming into this season, Holly not only had a focus to physically become a better player, but also on becoming more of a leader for the Boxers, wanting to lead his teammates into a positive direction. Holly has surely become a better defender for the Boxers, with 21 steals on the season with four games left, compared to his 17 steals all of last season. He gives credit to building chemistry with teammates and overall becoming more comfortable with his role at Pacific regarding his improvement from last season. As for their team play this season, it has been an up and down season for the Boxers. After starting the season 8-0, they went on a seven-game losing skid and as of now, stand 11-10 on the season. However, Holly believes the future is bright and the chemistry between the team has been good.